Have you ever dreamed about a dining room like this? 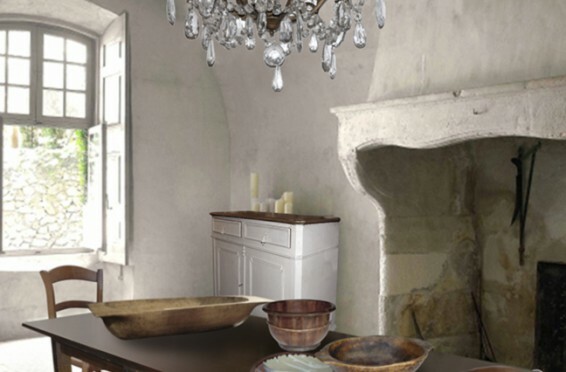 This breathtaking room makes a strong, yet subtle statement with its worn gray-tone plaster walls and large stone fireplace, which is central to the room. While the fire roars during family meals, the warmth surrounds the diners as the red-gold embers crackle and dance behind the screen. From spring into summer, imagine this French window opening onto a lush flower garden. No need to dream any longer. This room can become a reality when you visit Le Barn. Watch, while we recreate a room straight out of a French Château with the many fabulous items that we’ve collected for this sole purpose. 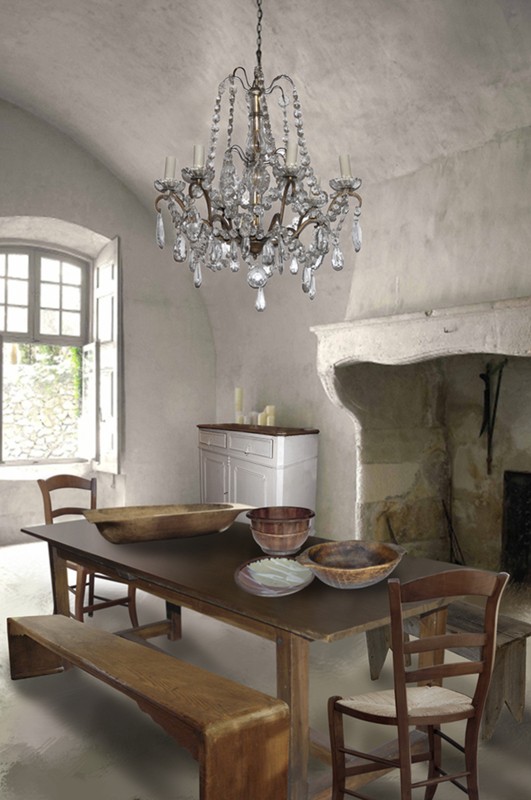 Le Barn’s French antique farm table, in light fruitwood. Seats 8-10. Le Barn’s French antique cabinet, painted in French blue-gray tones on natural wood. 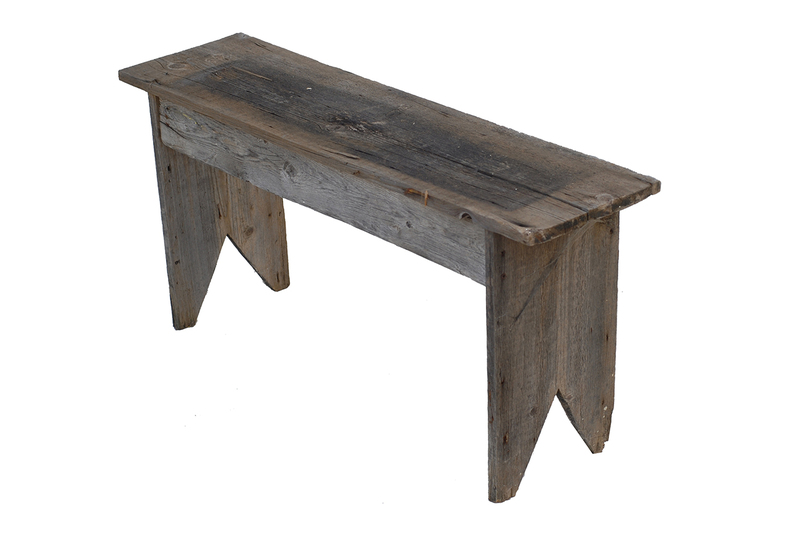 Le Barn’s Chinese antique bench, made from Chinese elm wood (this blends exceptionally well with French pieces). Le Barn’s Early American country bench, with weathered wood. Le Barn’s modern pottery, reflecting the five elements; fire, earth, metal, water, and wood. 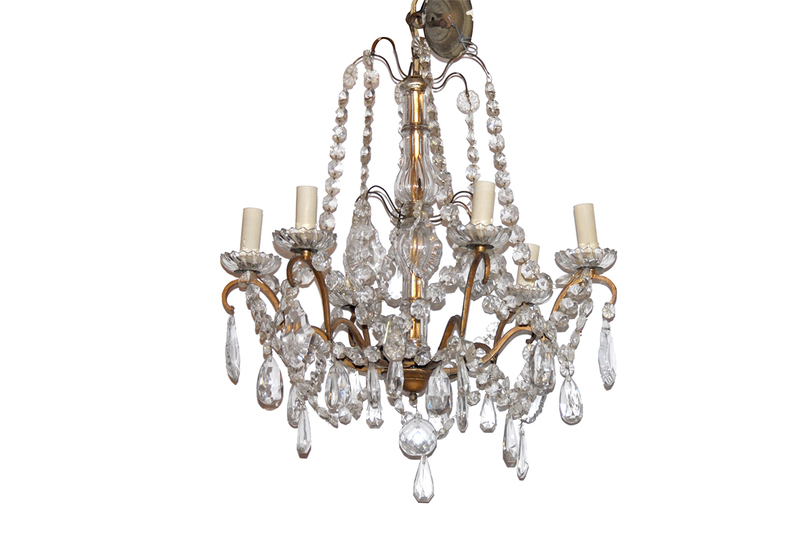 Le Barn’s French antique crystal chandelier, just one from our collection of many. Visit our website to see more. Le Barn’s Early American wooden trencher bowl, once used for dough. 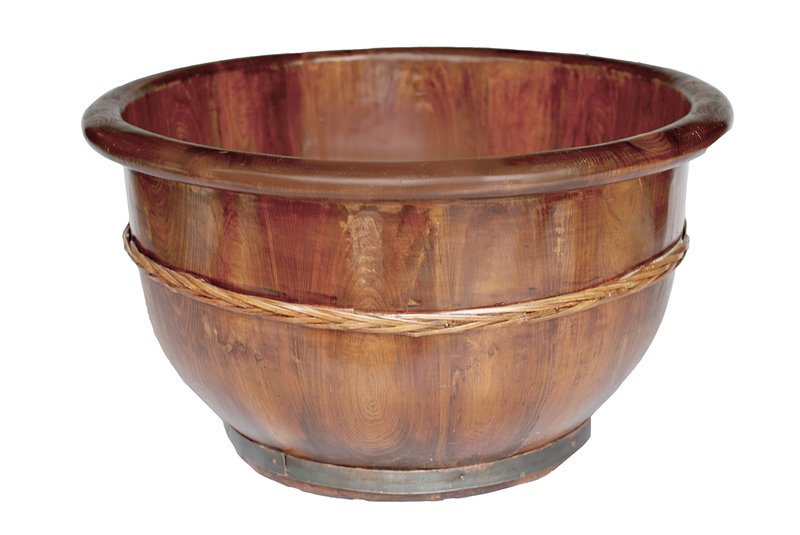 Le Barn’s Early American round wooden bowl, great to display fruits. 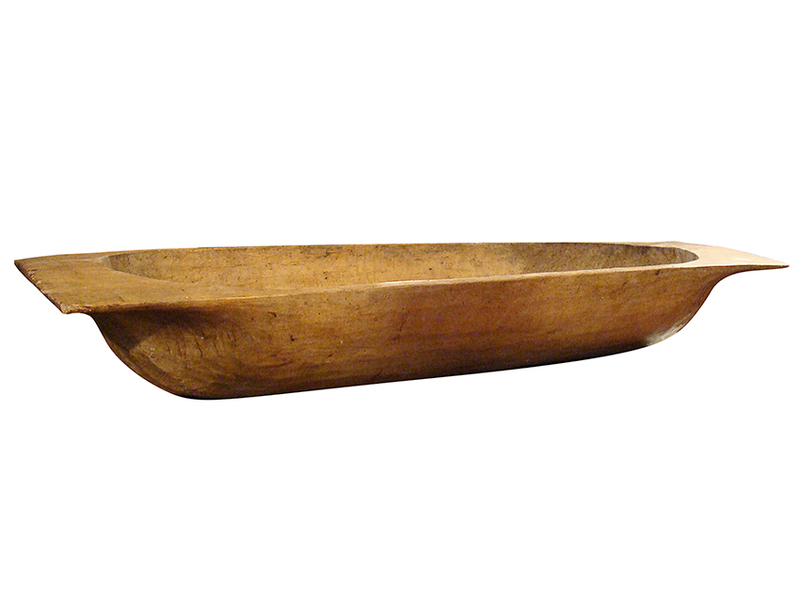 Le Barn’s Chinese antique wooden bowl, to store wood by the fireplace. We can help with furniture selection as well as creating a complete antique room, from the gray plaster walls, to the vintage fireplace, or we can simply advise on scaling furniture to fit the size of your room. Come to Le Barn for a visit. We have so many interesting ideas to share. We truly have everything you could ever want to make your home a palace. Call Le Barn at 203-253-7286 for more information or to schedule a visit. Subscribe to our blog at: lebarnantiques.com. Some images posted on this page were taken from the internet and are assumed to be in the public domain. We try to credit the original source whenever information is available. The omission of copyright information is completely unintentional and the material will be removed or corrected immediately at the request of the owner.